﻿One of the biggest British acts of the 80’s, Duran Duran made its name with slick pop hits like Rio and the theme from the James Bond film A View To A Kill. They went on to rack up an enviable string of top ten hits that shimmered like gold during the decade. Wild Boys was one of their biggest numbers and fans still clamor for it whenever the song plays. 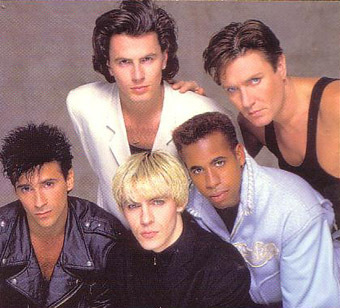 Simon Le Bon was the voice behind Duran Duran. He could take a song and make it a statement all his own. Wild Boys displays this ability Simon possesses with pure style. The video perfectly captures the essence that the group wanted to project with this number. I still love this song and find myself singing along to it without thinking. The chorus just gets in your head and stays there. Maybe I’m on an 80’s kick lately but if I am, so what? Some of the best pop music ever produced came out of the 80’s and Duran Duran with Wild Boys is proof positive of why songs like this will always remain in demand.